We provide fast professional service for all your tree or hedge needs, from trimming or shaping to full removal we do it all. Urban Contracting specializes in; septic service and repair, sewer installation, under ground services, water lines, basement excavation and backfill, road construction, subdivision development, residential demolitions, tree removal, landscaping and general excavation. We provide Bookkeeping, Training and Business Consulting services to those who use Windward Software, Simply Accounting and QuickBook. We also own the Denim Pine trademark and will be working on adding licensees to use the mark to promote their wood products made from mountain pine beetle, blue colored wood. We at Canadamerican Tax and Accounting Services provide expert United States and Canadian tax services to U.S. expatriates and Canadians doing business in the United States. Forms 1040, 1040NR, 1065, 1120, 1120-S, 8891, TD F 90-22.1, etc. We will prepare your Canadian corporate and personal tax returns, do your books, payroll, etc. We will represent you in dealing with Internal Revenue Service or CRA, and/or get you back on track if you are late on filings. Tax minimization strategies, structuring cross-border acquisitions and investments, etc. We provide Canadian tax and accounting services to small and middle size business owners as well as individuals. Our services would also be essintial to U.S. expatriates, Canadian snowbirds, Businesses providing services or goods to the United States, and Investors in U.S. real property. PōDR Accounting + Business Intelligence offers a variety of accounting, business analysis and management consulting services. These services are aimed at improving the profitability of client organizations and contributing to the economic development of the Okanagan Valley. Kindret Business Solutions focuses on efficiency and customizing bookkeeping requirements for each business so save money and provide useful reporting. Cindy Kindret the chief officer of the company is a Certified Bookkeeping Specialist and is also an expert with Simply Accounting. 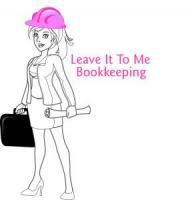 Due to our ability to customize, we are able to provide as little or as much bookkeeping services as required. Whether it be just payroll, budgeting, payable, receivables, printing cheques or bills or just summarizing what you have in a neat monthly package, we can identify your needs and deliver. "Putting Dollars in your Pocket by Making Sense of your Books". Providing weekly, monthly, quarterly or annual bookkeeping services in Simply Accounting software. Accounts Receivables, Accounts Payables, Payroll, Government Remittances, and Financial Reports. We also prepare personal and small business income tax returns. We guarantee professional, reliable, convenient services and the utmost confidentiality. Ensure your bookkeeping needs are being met so you can focus on your business. Pickup and delivery provided. Serving Lake Country to West Kelowna. Managing the financial transactions for a business involves having an experienced, professional, confidential and dedicated person. One who cares about your business while saving you time and money. The services of ATM Bookkeeping are fully qualified to ensure your books are kept on a weekly, monthly or quarterly basis. Community Futures Development Corp. assisted with the start-up of my business in 1999 and they now refer my Services to their clients. As well, I am referred by my Clients and various local Accountants. In 2003 I received the honor, by the Kelowna Chamber of Commerce and the Business Development Bank, to be 1 of 4 finalists selected for the Business Excellence Award in the 1 to 5 employee category. Kelowna, B.C. : General construction contractor, Fitness Club including bar/restaurant, Appliance Repair/Sales, Domestic and International construction. Your referral of my Service is most appreciated. Thank-you.